Lady Bizness is a social entrepreneurship and engagement company. 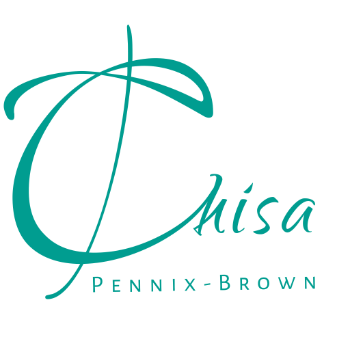 Chisa D. Pennix-Brown, MBA is the CEO of Lady Bizness, NC's #1 Small Business Facilitator, and Author of the 90 Day Focus: Your Action Plan for Success. She is a professional trainer and speaker specializing in small business development, brand strategy, and social media marketing to improve a company, individual, event, or group's online presence. Her strengths lie in branding to create a consistent image in person and online with a primary demographic of women owned and nonprofit businesses. Lady Bizness contracts with approximately 20 Small Business Centers throughout North Carolina to bring highly sought after, hands on workshops and energetic classes to prospective and current business owners. The company works with the Guilford Nonprofit Consortium to facilitate a monthly Tech Thursday series helping nonprofit organizations gain valuable skills to enhance their organization's mission. Lady Bizness also works with individuals to aid with marketing plan development, social media proficiency, and homing in on demographic research, pricing strategy, online selling, and product creation. Lady Bizness is based in the Piedmont Triad region in NC which is an area ripe for collaboration. The company works with 100+ resource partners as a member of the Small Business Consortium, including, but not limited to, private companies, corporations, libraries, colleges, universities, chambers of commerce, city and county officials, news and radio outlets. Lady Bizness continually provides new and exciting workshops that improve opportunities for economic development within the community. Becoming the person that you want to be takes time and you are constantly in a state of change no matter what you do. What you need to decide is what type of person you want to be and how that life will makes you feel. The actions that you take and don’t take every day are what shape your life, so it’s your choice to make them count.